A residential garage door complements the look of your home, protects your vehicle, and keeps your home and your family safe. Based in Wentzville, MO, Durbin Garage Doors provides both residential and commercial garage door installations. These experts have been in business for almost 30 years, and they have the insight and experience to help you make smart choices. 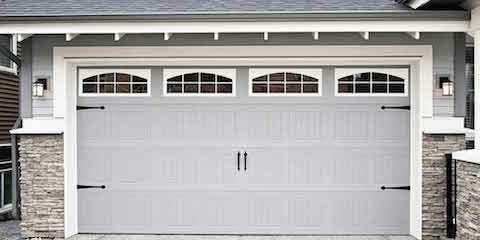 Safety: Residential garage doors are large and heavy. They can be awkward and difficult to maneuver, even if you have assistance from family and friends. A mishap during the installation process could result in injury. By asking a professional to handle garage door installations, you eliminate the risk of you, a friend, or a family member getting hurt during the process. Expertise: A professional with experience in garage door installations will be able to offer guidance that will help you make more informed choices. You will benefit from insight regarding which type of residential garage door best suits your home, and you will also be given useful information regarding the best and most suitable brands for your needs. Convenience: If you’re new to the process, garage door installations can take a long time. With a professional at the helm, the process will unfold smoothly and quickly, and you’ll be free to dedicate your time to more important tasks. Place your business with Durbin Garage Doors to enjoy a wide range of inventory and services that are second to none. The residential garage doors offered run the gamut from modern to traditional, and the company’s skilled technicians are available to handle all aspects of your garage door installation. Call (636) 443-9385 for a free estimate, or visit these Wentzville residential garage door experts online to view their offerings. You can also like them on Facebook for the latest news and updates.